Download the ZIP archive file and unzip. Before doing anything further, we need another application to build and launch the console. A program called Play with Activator is used to build and launch the web console. It’s a Java app for launching Scala apps. Download it here, unzip it and add it to the system path so you can execute the activator command that it provides. [info] play - Starting application default Akka system. 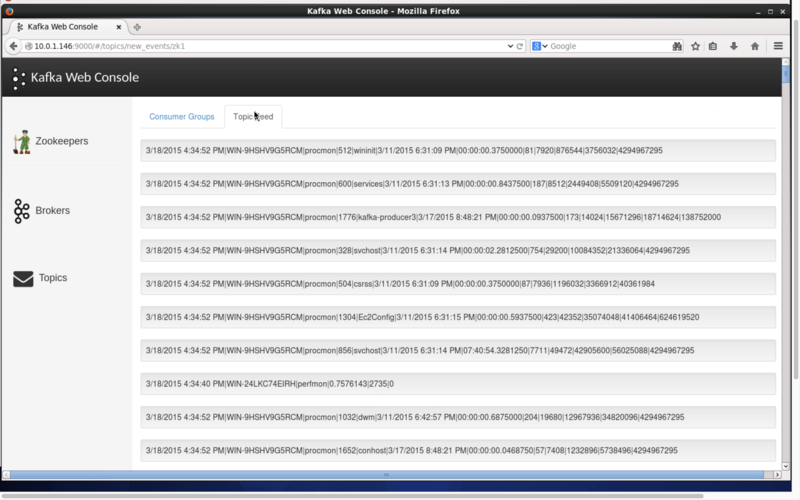 The first time it runs will take some time to build the source and then launch the web server. In the last line, above, you see it launches by default on port 9000. 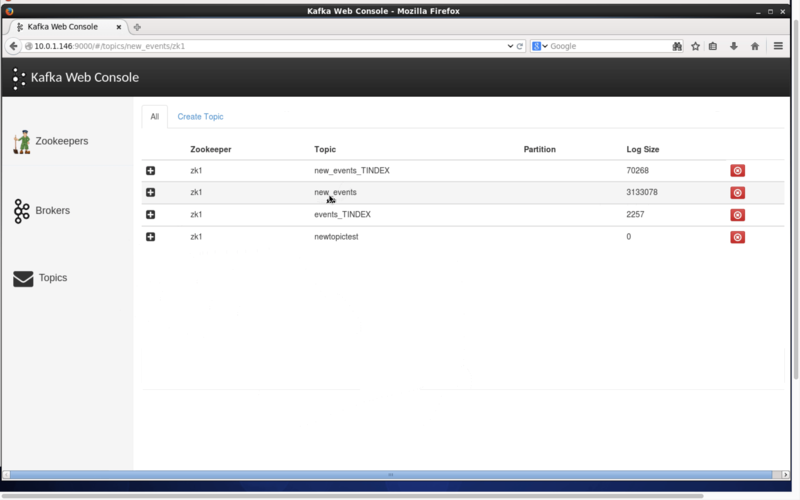 Now you can launch the web console and start using the application. Step 1 figure shows the basic form for your Zookeeper configuration details. This is the only setup step required to get access to your Kafka brokers and topics. The remained of the steps/figures are just showing the different screens. See the video for watching it in action. 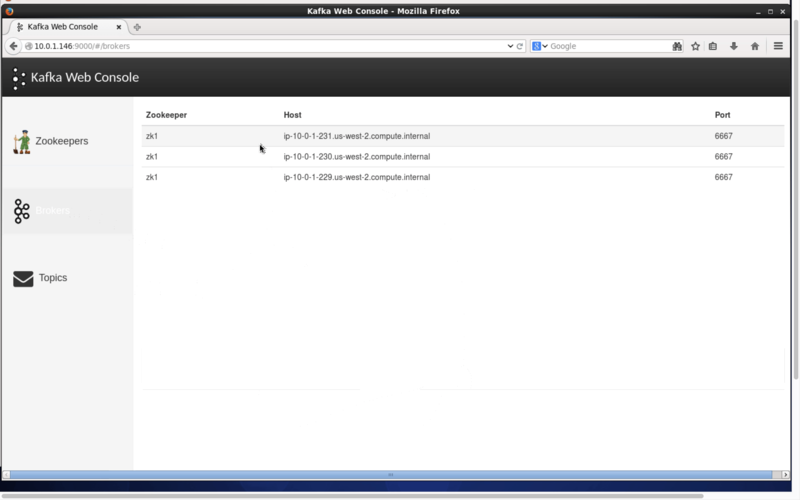 Step 3 – Topics tab lists the Kafka topics. Note that this forked version provides the red “delete” button for each topic, as well as the additional “create topic” tab above. Step 4 – Selecting a topic allows you to see an active topic stream. Your production database [default] needs evolutions! Not sure about all those exceptions though, maybe this will help. Let me know! Thanks for reading. So the ordering of the commands made a different to pick up the evolutions property. Hope this helps others. Excellent, thanks for sharing. I assume it’s an operating system difference. Which one you using? I’m on OSX.